This modern home remodel included an open concept kitchen overhaul, the addition of a first floor powder room, and a second floor bathroom expansion and remodel. 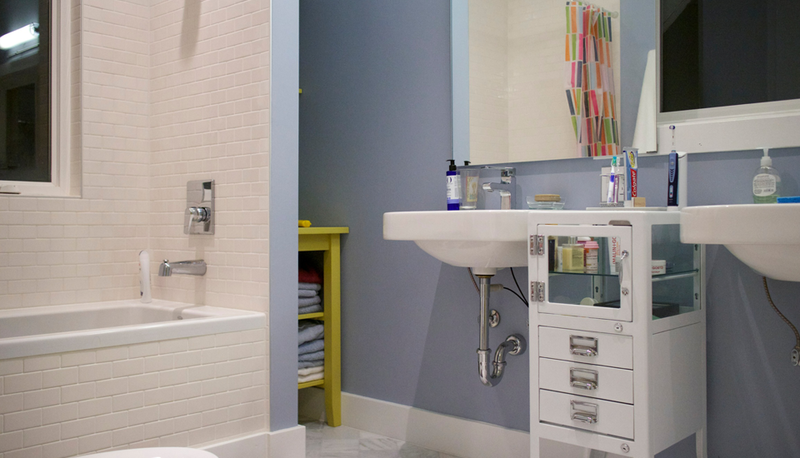 Within the bathroom expansion, a small 3 piece bathroom was transformed into a spacious 4 piece, with a deep soaker tub and double wall hung vanities. 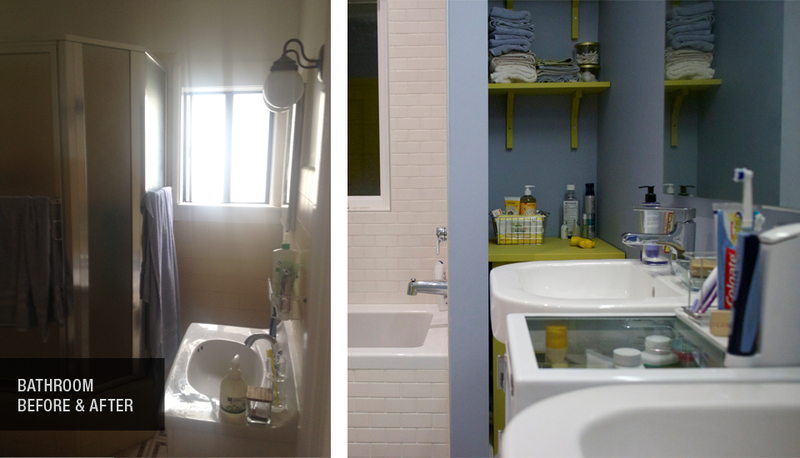 Project included: Gut and reframe, window installation, tile, tub, sink and toilet installation, plumbing, electrical, lighting, and paint.